-Joe Girardi, after Roger Clemens hit three Orioles batters in a 1999 game. Somebody needs to set these kids in Baltimore straight. There’s no reason to punch local sports favorite Mark Viviano; save your anger for someone who deserves it. Girardi, who shared words with Jeremy Guthrie in Spring Training, continues to gripe about Guthrie hitting Yankees batters with pitches. Come on Jeremy, don’t you know those guys in pinstripes are made of precious porcelain? Why do you think the Yankees pay so much for them? Guthrie, no headhunter by anyone’s estimation, apologized to Posada after the game. Meanwhile, Girardi admits that there’s no intention behind the pitches. So Guthrie apologized, no one thinks he’s hitting batters on purpose, and everyone agrees he’s allowed to pitch inside. Nevertheless, Girardi continues to make a big deal of it. Such is life with the Yankees, the do-as-we-say-not-as-we-do arbiters of proper baseball behavior. Good choice, Joe. Let’s beat up the nice guys in the press and defend the jerks (more on that in a moment). Here’s some background reading on Guthrie for Girardi to do while he waits for his pitchers to actually throw the ball and his hitters to jog around the bases. Let’s take a closer look at the issue in a comparative way. Now let’s consider the numbers for Roger Clemens, the guy Girardi caught for in New York. In 1999, four of the nine batters Clemens hit with a pitch played for the Orioles: Roberto Alomar, Jerry Hairston, Charles Johnson, and Eugene Kingsale. Three of those batters were hit in the same game on Sept. 30, 1999. Just call it the Clemens hat trick. So far, so good. He said the same thing about Guthrie. But you know there’s more, right? Clearly, Guthrie isn’t fighting himself and doesn’t want to win. Otherwise, it would be okay for him to experience some wildness. The moral of the story is that it’s okay to expect some consistency when it comes to pitching but not when it comes to one’s baseball philosophy. This is typical Yankees hypocrisy. It was all a big joke once Clemens donned the pinstripes. As this New York Times article details, Chuck Knoblauch and Derek Jeter wore catcher’s gear for a Clemens batting practice session in Spring Training that year, much to the delight of the players and coaches. There had been speculation that Clemens would have old scores to settle before being accepted. Clemens, after all, had thrown at Jeter so often that Jeter had wondered why, and Clemens had drilled Knoblauch and Scott Brosius and once stared down Joe Girardi. Heck, he probably had some sort of angry history with just about every position player in pinstripes. Jeremy Guthrie is no Roger Clemens. Thankfully. For what it’s worth, no Orioles pitcher hit Joe Girardi with a pitch during his four seasons in a Yankees uniform. Given what we know about the guy, you have to admire the Orioles’ restraint. *Having listened to Viviano on the radio this morning, I think it’s fair to mention the incident in a lighthearted way. I do not mean to suggest in any way that the assault itself is funny. Dude this is brilliant. Well done. Nice research. To be fair though, this isn't really "Yankee" hypocrisy, it's just hypocrisy – the kind you see from all teams (and really, in all walks of life). If the O's signed hypothetical free agent Joe Mauer to a huge contract, how many O's fans would boo him for being a sellout? How many hold Brian Roberts' steroid issue against him? To single this out as typical Yankees hypocrisy paints them as especially evil, which seems a little silly to me. Damn you and your logic (note my sarcasm). Thanks for the comment. I fully acknowledge that fans, myself included, are hypocritical. When it comes to the games themselves, though, it seems like the Yankees are often caught up in controversies over what's right and what's wrong. 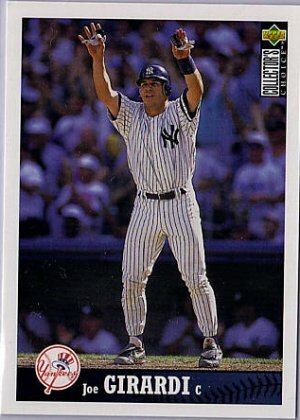 There's this issue, the Jerry Hairston stuff, Girardi's spring training rant against the Rays in '98, multiple actions by A-Rod that have produced debates about baseball etiquette, etc.Perhaps it's just that the Yankees get so much exposure, so all of their controversies are magnified. Even if that's the case, I think it's worthwhile to point out the inconsistencies.Clemens in particular always bothered me. Armando Benitez was crucified in the press and by players for throwing at Tino Martinez. Clearly, he was wrong to do so. But Clemens always seemed to receive praise as a gamer (check out the SI article I linked to) for throwing at batters. And he wasn't always keeping pitches low. In this instance, I don't think it's fair to draw so much attention to Guthrie simply because he's struggling with his control. As if a 4-17 record isn't punishment enough. Agree with that. I think Clemens rep is pretty accurate at this point. Pedro also hits a lot of guys – and with his control a fair number are certainly on purpose – and that doesn't always get a lot of play (though sometimes it does). Daniel, there is no logic to Yankee hating. Silly. Something tells me it will be considerably more kind.